The school was able to collect 211 pints. Teacher Randy Latini and student Alana Miller at the drive. On Friday, Feb. 10, Shawnee High School Student Council sponsored the annual February Blood Drive. 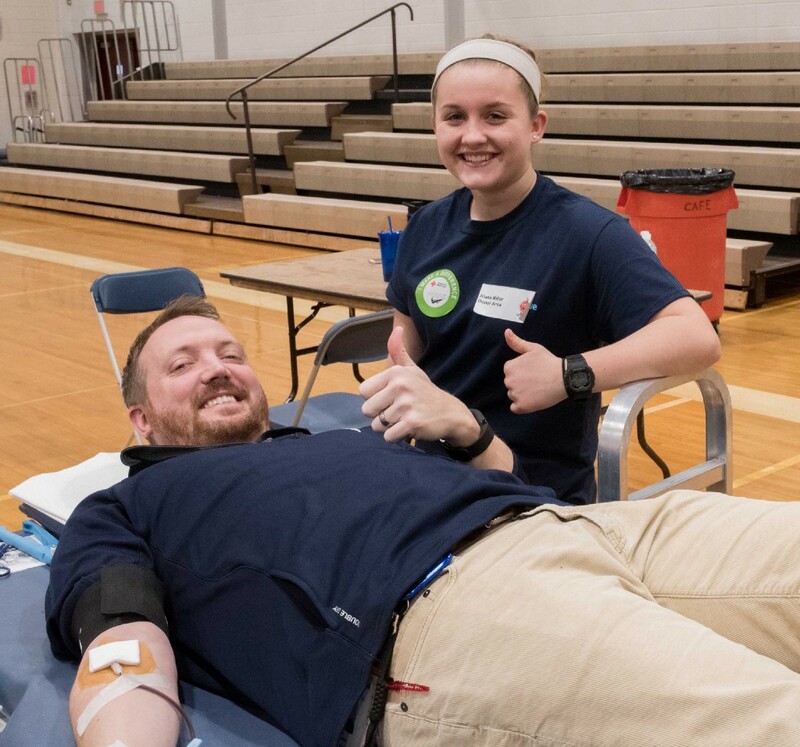 At this event, 234 students came to give blood and the school was able to collect 211 pints. Each pint helps save three lives. The school wishes to thank all those that participated.